Arrive in Singapore and meet the local tour operator representative. You will be transferred to your hotel in Singapore where you will check in to the hotel. Rest of the time is free at own leisure. In the evening enjoy Night Safari, quite unlike any other, ever seen, heard or experienced! It is Singapore's unique Night Safari, the world's first wildlife park built for visits at night. Nestled amidst 40 hectares of lush green forests, it makes use of subtle lighting techniques thereby letting visitors view over 1,000 nocturnal animals belonging to more than 100 different species in their natural habitats. Enjoy a comfortable overnight stay at the hotel in Singapore. After enjoying breakfast, gear up for an exciting half-day city tour of Singapore . 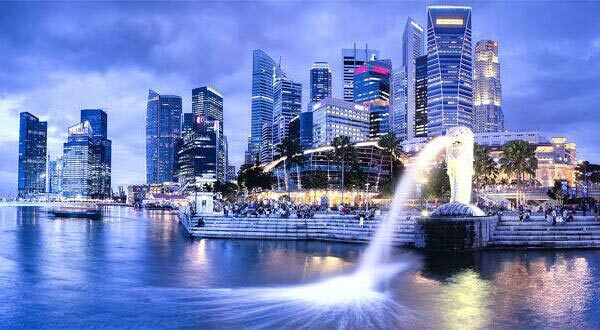 where you can enjoy an exciting experience of the metropolis of Singapore. See Swissotel, the Stamford one of the tallest hotels in the world, Parliament House and City Hall. Visit Mount Faber for a splendid view of the harbor and the city of Singapore. We drive through Orchard Road and take a photo stop at The Esplanade Theaters on the Bay, Singapore’s pride and joy. From the waterfront, enjoy the sight of Merlin Singapore’s famous symbol and the city’s business district. Later enjoy Sentosa Island tour. A visit to Singapore will be incomplete without a tour of Sentosa Island. There's something for everyone at Asia's Favorite Playground! Sentosa Singapore's world-class attractions are easily accessible and well-connected for endless fun! Tour Highlights: 01 way cable car, Dolphin Lagoon, Underwater World & Wings of time in Sentosa. Stay overnight at the hotel in Singapore. Breakfast, Day at leisure or you can enjoy Universal Studios with entrance passes where you Enter the thrilling world of movie magic as you "ride the movies" on roller coasters and other movie-themed attractions. Be dazzled and delighted by an immersive entertainment experience that brings the silver screen to life. Overnight stay at hotel. Breakfast, full day free for leisure at your own. 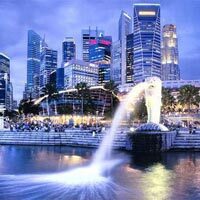 Overnight stay in your hotel in Singapore. Breakfast in the hotel, Check out from hotel and get transfer to Changi International Airport to board your return flight. Here your tour ends with "Zion". Go with bag full of sweet memories of your trip to Singapore.